Available May 1st. 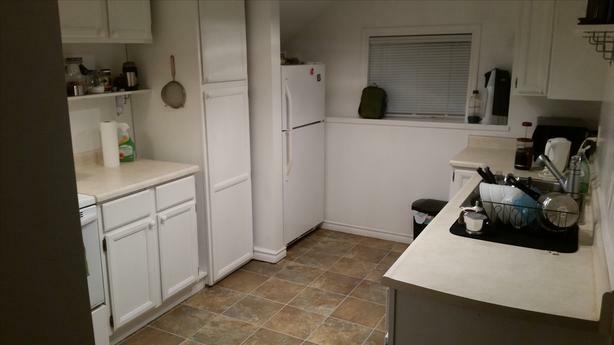 2 bedroom basement suite, centrally located between Tillicum and Uptown malls. Walking distance to many bus routes off street parking for 1 (2 if smaller) vehicles and lots of street parking available. Walking distance to parks, galloping goose trail. -Recently replaced carpets in bedrooms and laminate in kitchen and living room. -Utilities shared 50:50 with upstairs (aproximatly $150 per month for each suite). -Pets negotiable (idea for 1 well behaved dog or indoor cat), must include pet deposit. *note, images show updated carpets in bedrooms, no image of updated laminate in kitchen and living room. Please e-mail to set up a viewing.